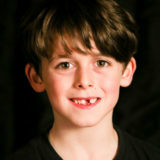 D For Dexter — Congrats go to CAPA REBEL Harry Steel, as he is cast as a traveler boy in an episode of ‘D for Dexter’, a BBC radio drama. Harry will record for a few days later in August and September down in Lincolnshire after an initial self tape and further recall with the casting director. Summer Break 2016 — We will close after classes on Friday 22nd July and return with classes on Monday 5th September. We will close for October half term after classes on Saturday 22nd October and return with classes on Monday 31st October.